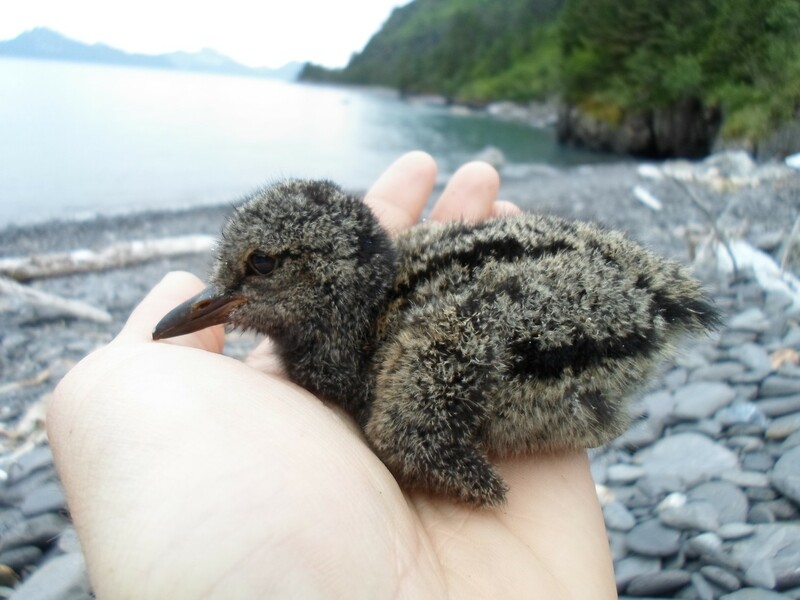 The Nearshore Monitoring Protocol under the SWAN Inventory and Monitoring Program incorporates annual monitoring of black oystercatcher population abundance, nest density and productivity, and prey species and sizes provided to chicks. However, each of these metrics is estimated from a single visit to Kenai Fjords and Katmai National Parks annually. Data resulting from a single observation are recognized as potentially influenced by events that occur both prior to and following the visit, including breeding failure, and egg and chick mortality. Additionally, the collection of prey remains brought to nest sites to provision chicks can only reflect what was provided prior to the collection date and does not include data about soft bodied prey, prey items brought to chicks away from the nest site, or prey items brought to the area by other birds such as gulls and crows. To address these issues, we propose examining black oystercatcher nests, diet and chick provisioning to ensure robust interpretation of trends observed in long term monitoring data collected for this species. Our objectives in the proposed research are to: (1) estimate productivity at 20 black oystercatcher nest sites over two years, (2) determine sources of disturbance and mortality to adults, eggs, and chicks prior to fledging, (3) estimate rates of energy delivery to chicks through repeated collections of prey shell remains and observations of prey deliveries, and (4) estimate productivity and fledging success as a function of prey provisioning. Robinson, B. H., L. M. Phillips, H. A. Coletti, and A. N. Powell. 2018. Are prey remains accurate indicators of chick diet? A comparison of diet quantification techniques for Black Oystercatchers. Wader Study 125(1):20–32, DOI 10.18194/ws.00105. Robinson, Brian H. 2016. Feeding Ecology of Black Oystercatcher (Haematopus bachmani) Chicks. MS Thesis, University of Alaska Fairbanks. 71 pp. Robinson, B., A. N. Powell, and L. M. Phillips. 2014. Chick provisioning and nutritional quality of Black Oystercatcher prey. The Wildlife Society Alaska Chapter, Anchorage, AK. Robinson, B., A. Powell, L. Phillips, and H. Coletti. 2014. Are prey remains accurate indicators of chick diet? Implications for long-term monitoring of Black Oystercatchers. 16th Annual Alaska Bird Conference, Juneau, AK. Robinson, B., A. Powell, L. Phillips, H. Coletti. 2015. Are prey remains accurate indicators of chick diet? Implications for long-term monitoring of Black Oystercatchers. 6th Western Hemisphere Shorebird Group Meeting, Wallops Island, VA.